Yakuza's man of legend available as DLC tomorrow in Japan. 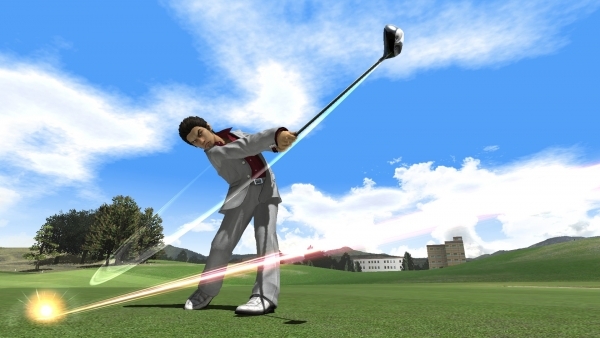 Yakuza series protagonist Kazuma Kiryu is coming to PlayStation 3 and PS Vita golfer Hot Shots Golf: World Invitational in Japan. Starting tomorrow, April 18, players can download the man of legend for 500 yen on the PlayStation Store. It will work across both the PlayStation 3 and PS Vita versions.